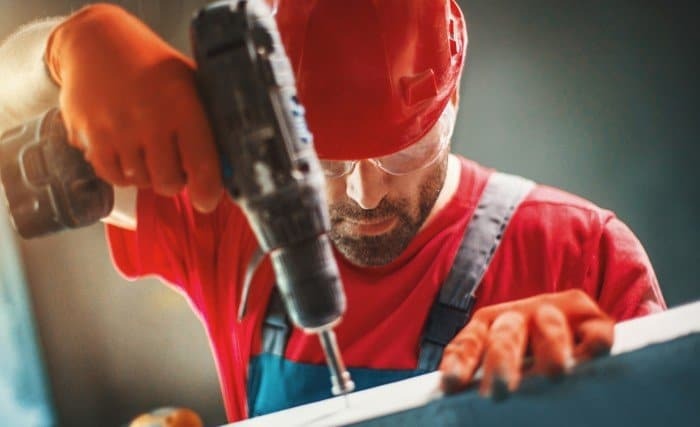 People who consistently operate power tools are prone to the side effects that shock-type exposure can cause on the human body. Such power tools include, but are not limited to, nailers, tackers, staplers, and setting tools. To better measure what their job actually costs them, industrial companies can measure the cost using ISO/TS 15694. Workers who use vibrating tools tend to develop diseases such as Vibration-induced White Finger (VWF), a condition that is magnified in the cold, and Hand-Arm Vibration Syndrome (HAVS), which increases in severity over time and whose symptoms may take months or years to be noticed. Worker safety can be aided by the responsible measurement and standardization on shock-emission as people finally begin to put health over work efficiency. While ISO/TS 15694: Mechanical vibration and shock – Measurement and evaluation of single shocks transmitted from hand-held and hand-guided machines to the hand-arm system does not detail the health risks to the human body, it does help to measure and evaluate the emission of single shocks from hand-held and hand-guided machinery. The guideline outlines how to gather consistent data on hand-transmitted single shocks under closely defined conditions, according to uniform criteria, and how to provide information on the shock emission of a given power tool, which can then provide an objective comparison between different power tools. The ISO/TS 15694 document provides formulas for the calculation of factors such as the root-mean-quad value, peak value, maximum transient vibration value, crest factor, and shock content quotient of weight and flat-weighted accelerations, while also defining their variables. It outlines how to create the measurement report once the shock-values are quantified and the items that should be included in the report. The aim is to eventually aid in the gathering of emission and human exposure data in order to provide a standard for emission declaration, as well as for future development of exposure risk criteria. The developed criteria can then create safer power tools with less shock-application for those who utilize them in their daily work lives.